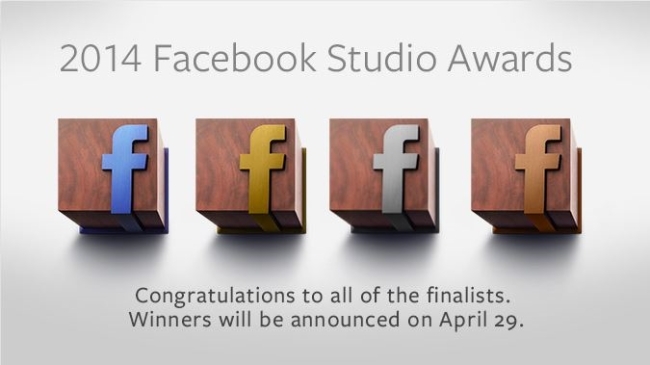 Facebook announced the finalists for its 2014 Facebook Studio Awards, with the winners to be revealed April 29. The Studio Awards annually recognize the very best creative work produced on Facebook, and this year’s finalists have set a high standard for excellence. To see the finalists, visit Facebook Studio. Finalists were culled from hundreds of submissions from around the world. Work from 17 countries is represented, displaying an outstanding range of creative and technical expertise. Every one of these agencies and brands should feel proud of their work.